Boston Senatus: An attached praesidium has 13 members and 20 auxiliaries. These do visitation of homes and hospitals, accompany the priest on house blessings, pray at wakes and comfort the bereaved, teach CCD, make Communion calls in pairs and host a coffee hour after Sunday Mass. Two distant praesidia in Vermont have a total of 11 active and 54 auxiliary members. A Curia has 74 active and 315 auxiliary members in 8 praesidia. A novel work is restaurant contact. One Comitium has 20 in a junior praesidium and had 4 non-Catholics baptised and 10 conversions. Another Comitium, after 6 years persevering to approach prison authorities, has a well-developed prison ministry with one legionary being Tribune to the prison praesidium. Philadelphia Senatus: A new praesidium has begun at the Cathedral. Bucks Co. Curia has 17 praesidia with 95 active and 314 auxiliary members. They report door to door and train station evangelisation. Camden Comitium, N.J., does prison ministry and makes contacts on boardwalks and beaches and at farmers’ markets. Pittsburgh Regia has 49 praesidia in various councils attached, with 362 senior and 55 junior members. 48 Praetorians and 2,272 auxiliaries are also listed. Delaware Co. South Curia had a former member ordained to the Priesthood and another to the Permanent Diaconate. The Curia works are varied, including prison visits and book barrow apostolate. Chicago Senatus: 120 legionaries attended the Annual May Gathering weekend in Chicago, with many coming huge distances from the 5 attached states of the Senatus. Our Lady of Victory, praesidium, Fargo, ND, has 10 members, many of whom attended the May Gathering. Nativity of the BVM praesidium members knocked on 298 doors and had 66 contacts. St. Mary of the Angels members distributed Miraculous Medals at the Gay Pride Parade. Mary, Morning Star Curia, Joliet, IL, with 10 senior and 2 junior praesidia, received a report of a man returning to practice and becoming an active legionary. Our Lady of the Rosary Curia, Peoria, IL, has 10 praesidia with 74 active and 815 auxiliary members. As a result of the Legion apostolate in a parish, Mass attendance has increased and a family has returned to practice of the faith. St. Louis Senatus: Nursing homes, hospitals and prisons are visited. One Curia reported 1,323 auxiliaries and another 988 active members. Praesidium members taught the 12 Steps Programme at a woman’s correctional facility. Patricians, teaching and assisting Catechism classes were reported. Legionaries visit a homeless shelter and give instruction to women to sew and crochet. Results: 18 returned to the Sacraments and 42 lapsed attended Holy Mass; 8 adults received into the Church; 7 marriages validated and 12 Baptisms; 2 new praesidia started. They gained 8 active and 6 auxiliary members. Work for juniors is also done. The local seminary plans to set up a praesidium. Youth ministry and preparing for Religious Education classes are undertaken. New York Senatus: A Congress is planned for September. A praesidium organises a weekly subway Rosary at a book barrow where hundreds are contacted and given leaflets on the Mass and Confession. Visits to a hospital with a Spiritual Director resulted in 126 patients receiving Holy Communion; many lapsed Catholic had talks with the priest. Most praesidia have a good membership. South Bronx Curia report calling on 5,097 homes, doing Parish Census, 2,476 home visits, 1,006 visits to nursing homes, 256 hospital visits, book barrow, and crowd contact. Arlington Regia: Two Annual Reports from praesidia, plus 3 councils and 12 quarterly reports were given in the 3 months. All reports mention home visitation, and Pilgrim statue visits. Raleigh does prison ministry which involves faith formation. Auxiliaries are high on their priority list as are recruiting juniors and organising Patricians. Their Acies, with Bishop Michael Burbridge, in March needed ushers to be able to find seats for those present! They hosted a TEAM Retreat (Teenage enrichment for the Apostles of Mary- June 24th); this was started in 1993 by Fr. Peffley and it is an annual outdoor Retreat with fun for teenage legionaries and is open to others as a form of recruiting. Miami Regia: The Regia sadly accepted the resignation on age-grounds of Fr. Richard Soulliere. Before taking on the Spiritual Directorship of the Regia, Fr. Richaerd was an ardent legionary and served first as an Extension Worker and later as Legion Envoy to Mexico before going on for the priesthood. The affiliated Regina Pacis Comitium serves the Spanish-speaking community with three attached Curiae and a total of 46 praesidia. Southwest Florida Curia mentioned 145 Enthronements of the Sacred Heart as having been carried out in homes as a result of a recent effort. Houston Senatus: In Austin Comitium Bishop Garcia will celebrate the Legion Anniversary Mass in September. Northern Curia has 6 attached praesidia. Works include visitation of nursing homes, and arranging monthly Mass for patients. They visit homes, promoting the Enthronement of the Sacred Heart and the Pilgrim statue, and teach families how to say the Rosary. In Southwest Curia, legionaries came across a man who lay dying on the street. They contacted a priest who gave him conditional Baptism. The legionaries prayed with him until he died. Another man who was suicidal is now going to Mass. Los Angeles Senatus: A praesidium gave its 56th Annual Report, with 11 active members, 5 of whom are Praetorians, and 75 auxiliary members; 15 are Adjutorians. They have 1 junior praesidium with 5 members. A praesidium with 12 members, of whom, 9 are Praetorians has 82 auxiliaries including 20 Adjutorians. They do contact work in a park where they give out Rosary beads, with instruction leaflets in English and Spanish, also operate a book barrow at busy intersections where they distribute Catholic literature, Sacramentals, and Mass schedules. The Orange County Comitium has 13 senior praesidia, two of which are new. Their 2 junior praesidia have 11 members in one and 16 in the other. The Comitium’s goals for this year: to hold a Congress, to do Exploratio Dominicalis, and conduct Columban Drives. Cincinnati Senatus: A praesidium of 6 active members with 22 auxiliaries, visits nursing homes, does Eucharistic ministry, and trains altar servers. A Congress is planned. Madison Curia has 3 attached praesidia. Works include contacting parents of newly baptised. Junior members in Nashville Comitium encourage all to wear the Brown Scapular and recite daily the Tessera prayers and Rosary. Lafayette Comitium has 8 attached praesidia and a Curia with 7 praesidia. There are 85 active legionaries and 383 auxiliary members in total. Several praesidia held public square Rosaries as part of ‘America needs Fatima’. 98 contacts met on PPC were revisited. Evansville Comitium: A praesidium caring for juniors has 20 members. San Francisco Senatus: The Legion saved 2 marriages through encouraging couples to attend a series of Marriage Enrichment Renewal meetings. Two lapsed Catholics resumed faith practice. A praesidium gained 14 auxiliaries through visitation of 85 homes. One Curia hosts a monthly Frank Duff prayer meeting. Extension in Santa Rosa Diocese gives it 8 praesidia now while Portland Curia recently increased from 4 to 8 praesidia. San Jose Korean Curia is striving to start an English-speaking praesidium. Talks by Korean priests are displayed in Korean restaurants and shops. A Spanish Curia circulated the Pilgrim statue to 300 homes. One praesidium made 603 home visits as well as crowd contact and running juniors. The Senatus of Toronto: Spiritual Director, Msgr. Sheehy celebrated the Golden Jubilee of his Ordination to the Priesthood recently. Queen of the Family praesidium, in Holy Family Parish, has a membership of 17, of whom 8 are Praetorians. They have 2 vibrant junior praesidia. Their pastor is Spiritual Director to all three praesidia. The older juniors’ do door to door visitation with the seniors. 993 contacts were made during the year. There is an upward flow to the senior ranks in recent times. Mississauga Comitium has 16 senior and 3 junior praesidia attached. Two of their newest praesidia have been doubling as extension committees, forming new praesidia in nearby parishes. A new Curia, Mary Seat of Wisdom was set up. Hamilton Comitium has 15 praesidia, and recently a new praesidium was started and another planned. One Curia is attached. Works include street apostolate, approaching 377 persons and distributing 186 Miraculous Medals. Our Lady of the Prairie Curia, Winnipeg, did an outreach, going door to door, calling on 319 homes, making 129 contacts. They also minister to 3 prisons, bringing the joy of the Gospel to the prisoners. A Curia, in St. John’s NFld organised Columban Drives in two parishes, gaining one new member and 15 auxiliaries. Montreal Senatus: A recruiting drive yielded 16 active and 15 auxiliary members in 3 months. An attached Curia has 31 names for follow up after a Columban drive. 3 people returned to Mass attendance following efforts of a new praesidium who undertake apostolates such as crowd contact, Pilgrim statue visitation, organising Pilgrimages and praying with the dying. The Senatus Spiritual Director encouraged outreach to the young. He urged prayers for the Synod on the Young - Oct. 2018. The Korean Curia has 48 active and 30 auxiliary members in 6 praesidia. They assist adults who attend catechism classes with child minding, encourage Mass attendance, visit the sick and the elderly and pray at funerals. Edmonton Comitium: Approaches were made to 3 parishes regarding extension. A praesidium of 10 active and 13 auxiliaries helps patients to and from weekly Mass in a nursing home. Visitation of the elderly, Pilgrim statue visitation, book barrow, and RCIA are the main works of a praesidium with 5 active members and 6 auxiliaries. One Korean Curia reports 4 conversions and an attendance of 157 at a Marian Day celebration. They started a new praesidium of 6 active members. The Korean Curia in Calgary organised a 33 day TDM preparation in honour of Our Lady of Fatima. Vancouver Comitium: Regina Mundi Curia had three Annual Reports from: Most Pure Heart of Mary with 14 active and 75 auxiliary members; Mary Queen of Peace with 10 active and 137 auxiliaries; Our Lady of Missions with 11 active and 70 auxiliaries. Works collectively include 7 Pilgrim statues taken to homes, visits to prisons and street ministry. In Mary, Mother of Unity Curia the teachers and parents assisted in the formation of Our Lady of Fatima junior praesidium made up of 15 children ages 11 – 15. This praesidium encouraged three couples to have their children baptised. Mary Gate of Heaven praesidium took the Pilgrim statue to the home of an addicted gambler. Having the statue influenced the lady to quit gambling. Two other legionaries, through their evangelisation, counselling and prayers, assisted a couple who were in the process of a divorce to get back together again. Senatus of Santo Domingo: 62 legionaries participated in the Annual Holy Week project “la Jornada de Semana Santa” organised by the Senatus. Legionaries, at the invitation of a priest, went to remote areas and conducted the Easter Triduum. This year they went to 36 communities in 2 parishes in Matanza, Bani, where they visited 1,272 homes, contacted children, youths, adults and sick people. The Comitium of Navarrete set up a new Curia and 28 new praesidia in different communities and is engaged in their aftercare. The Regia of La Vega reported 9 youths baptised, 109 children prepared for First Holy Communion, and 3 marriages regularised. A youth with HIV was instructed and baptised. The Comitium, Mother of the Apostles, reported that a 21-year-old man who was addicted to alcohol and prostitution went to Confession and is now reformed. The Comitium of San Victor Moca has a junior Curia with 5 praesidia. Haiti Senatus: Reports were received from 2 Comitia each with over 1,000 active members. One of these Comitia has 3 junior Curiae attached, with a total of 200 members, while another Curia runs a junior Curia with 7 praesidia. Among the other reports were those from two large seminary praesidia. Activities included visits to practising and non-practising Catholics, to people of different religions and none, to prisons, orphanages and bereaved families, the elderly and marginalised, and they have much contact with sick people at home and in hospital. There were references to preparation for the various Sacraments, and 1,300 Baptisms were conducted. Puerto Rico Senatus: Extension in the Comitium of Cayey resulted in gaining 2 active and one auxiliary member. They did census, and a Columban Drive. The Comitium of Canóvanas visits the jail and takes the priest to their sick contacts. They also contact the lapsed, and invite the parents to assist at their children’s catechesis. One praesidium gained 5 active and 7 auxiliary members. The Comitium of Manatí had 7 Curiae and one praesidium reporting. The praesidium did extension which resulted in 2 new active members, and one auxiliary. A lot of visits were made to the sick. Mass sermons on television and Radio Maria promote the Legion. Lisbon Senatus: A praesidium reports special care being given to a mother who lost a young son and a grandmother caring for a paraplegic grandchild. Evangelisation is done in cafes and on the street. The Senatus has been visited by legionaries from Angola, Mozambique and Salvador Brazil. Extension has been reported from Odivelas, Vale do Fornosa and Santo Antonio dos Cavaleiroas. The Curia of Setubal had 5 praesidia reports detailing work with the Sisters of Charity, helping those in need with personal hygiene. A Legionary doctor gives free medical consultations for children in a childrens’ home. Comitium of Braga continues to grow with a new Curia of 7 praesidia set up recently. Meanwhile the Regia of Cimbra reports efforts at extension. There is great difficulty in getting new members. 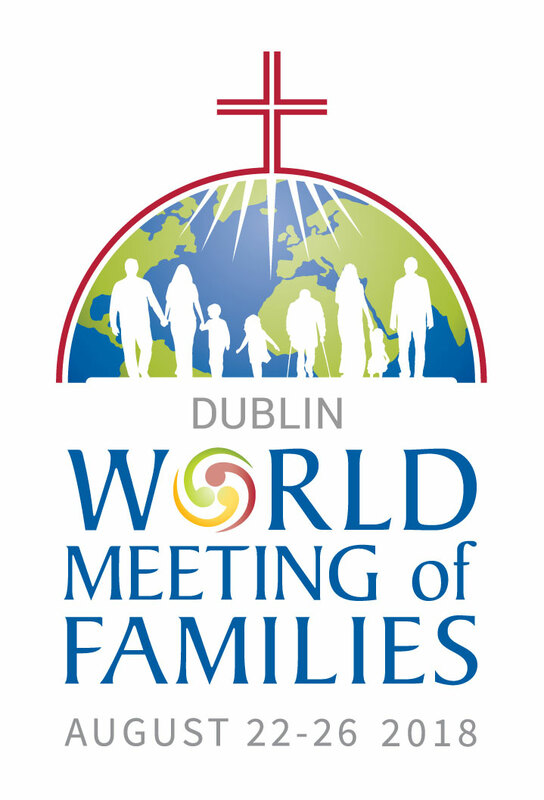 The Senatus is looking forward to their Annual Pilgrimage to Fatima and the national meeting of Spiritual Directors. Madrid Senatus: The Malaga Curia held an Extension Drive to strengthen a local praesidium. An Annual Mass is celebrated for families who accept the Pilgrim statue. Tenerife Curia visit children’s homes before and after First Communion and Confirmation. Former active legionaries, who are now auxiliaries, are visited and invited to all Legion functions. A young Argentinian legionary, studying on a scholarship in Madrid, joined a local praesidium of 3 young adults. After 6 months, they had 6 new members. A young student from Madrid is working as an indoor sister in the Regina Coeli Hostel. She says it is an ideal place to learn about the Legion and the English language. Masses for the three causes were celebrated. Barcelona Senatus: A praesidium in Barcelona teaches catechism to children and has a representative on the Parish Council. The Spiritual Director works with an inter-parish praesidium of 8 members and visits their sick contacts for Confessions. Some members work on the Pastoral Council, and the “Pastoral de la Salud,” attending the sick, at home and in hospital; they also help with bereaved families. The Archbishop of Barcelona called a meeting of all the organisations to help with the new “Diocesan Plan.” Alicante Curia with 5 praesidia cleans the Church, and visits the elderly. The Reus Curia with 6 praesidia does mostly works of consolation. Bilbao Senatus: Burgos Curia with 6 praesidia visits the jail and has regular meetings with the chaplain. Parents of new- born babies are visited. Oviedo Curia with 3 praesidia held a Retreat in May; they promote the Jubilee Year of Fatima, Praetorian membership and the sale of the book on Frank Duff “A Man for Our Times,” also visited the sick, distributed Miraculous Medals, and assisted a person with legal documents. Rome Senatus: The proposal for the inclusion of the invocation of Archangel Raphael in the Legion prayers was approved. Extension is proceeding at Bologna at the request of Archbishop Zuppi. The Senatus invited its members to be present at the installation of Cardinal Vallini as Vicar General of Rome. The formation of praesidia in the Seminaries of Rome is to be discussed with him. Milan Regia: Two Filipino praesidia of 10 and 12 members visit their compatriots with the Pilgrim statue. They also visit Latin-American families. Work and meetings are on Sundays as it is their only free day. A praesidium in another Curia is responsible for publishing “La Voce,” a Legion journal distributed throughout Italy. Padua Comitium ordered 55 Legion Breviaries. They have one English-speaking and one German-speaking praesidium. A new junior praesidium was set up. They were encouraged to have a Legion Congress. Many auxiliaries attended the Acies. Two new praesidia were formed, one in Famagusta and the other in Kyrene. On Easter Monday legionaries from Limassol went on Pilgrimage to St. Lazarus Church tomb. They also helped at the Children’s First Communion. Legionaries from Nicosia participated in the Drama of Our Lord’s Passion in Holy Cross Church Garden on Good Friday and assisted in the Holy Saturday ceremonies. Malta Regia: The Island of Malta has 726 active members and there are 430 senior active and 172 juniors in Gozo. During an exhibition in the Legion house in Holy Week, street contact was made with many foreign visitors and one new member was recruited. One contact said that the reading of the “True Devotion” had changed his life. A praesidium of 8, with 3 Praetorians and 20 auxiliaries, contacts immigrants, give them Bibles, and where appropriate help them to seek social aid. They organise outdoor Rosaries in prominent places. An Italian-speaking praesidium of 5 contacts the island’s Italian community. 63 auxiliaries were enrolled. Home visitation in Mother of the Good Shepherd Curia resulted in 14 homes being consecrated to the Sacred Heart. Mother and Teacher Curia are in contact with those having marriage difficulties. Mother of God Curia held a Congress. Two of their praesidia are concentrating on the recruitment of junior and intermediate members. Gozo Comitium: All parishes have the Legion. 14 Spiritual Directors attended a meeting with the bishop. Their apostolate includes visits to bars and clubs, home and hospital visitation, and public Rosaries. 1,450 tourists were contacted, many accepting the Miraculous Medal. One person went to Confession and a housebound person was encouraged to receive the Holy Eucharist at home. A junior Curia had an attendance of 52 at a meeting of juniors and their parents. Retreats for auxiliaries were organised. The Malta correspondent and another legionary visited from 18th to 29th May. The Comitium has 28 praesidia and 3 Curiae of 10, 24, and 20 praesidia. There are also two praesidia in the Diocese of Tirana/Durres. The Legion is not in the Diocese of Reshen. Separate meetings were held with the officers of the Comitium and each of the attached Curiae. Some praesidia were also visited. A good variety of apostolic works are undertaken. Prayers are requested for the President who is recovering from cancer. The visit to Albania included a visit to Kosovo where there are two praesidia; one is in the parish of St. Nicholas of Bari with 25 members and the other in the Parish of St. Joseph with 20 members. The visitors were warmly welcomed by both Parish Priests. The legionaries were encouraged to study the Handbook for their formation and apostolate. The praesidia are visited twice yearly by the Comitium. Carlow Comitium: There are 5 praesidia in the Comitium. People whose names were given as interested in the recent recruiting project in Askea parish were visited. Five people were very positive but only 2 turned up at the meeting and only one has persevered so far. A member in the Comitium has transferred to the praesidium and efforts to build it up are on-going. Two more schools have been visited. Laois Curia had a recruiting project in Edenderry on 8/9 July with 9 legionaries from Dublin, Drogheda, Portlaoise, Mullingar and Carlow Comitium taking part and 4 new members attended the following meeting. Elphin Comitium: Ballygar praesidium has 5 members and 21 auxiliaries and the two reporting praesidia in Roscommon have 8 and 17 members respectively. A weekly session consisting of prayers, music and singing is held for Alzheimers’ patients. Parties are held monthly for people with special needs and they are visited in the Brothers of Charity Homes. One of these praesidia organise an Annual Pilgrimage to Lough Derg. In one nursing home visited, as a consequence of promotion of the Rosary 16 patients now recite it each evening. One praesidium organised a bus to Knock Shrine in October for the elderly and those attending the Western Health Board psychiatric clinic. Ballygar praesidium members staffed a book barrow at the Carnival Day during which much valuable contact work took place. North Elphin Curia: Geevagh praesidium has 20 auxiliaries. Works include home visitation to the elderly and recently bereaved, also organising a childrens’ Rosary on the first Saturday of the month in the parish Church with about 15-20 children attending. Tuam Comitium: Lackagh praesidium has 6 members and 34 auxiliaries. They are well received on home visitation and are asked to pray for family members. Bottles of Holy Water are left in the Church regularly, especially at Easter. Kilkerin praesidium has 6 members and 37 auxiliaries. Works include the sale of Catholic newspapers and works of consolation. The intermediate praesidium in the Presentation College Tuam has 5 members from transition and 6th year. They visit a nursing home and chat with residents doing crafts or playing bingo with them and also encourage fellow-students to fill Trocaire boxes. They encourage the setting up of a May altar in the school thereby spreading devotion to Mary. Claremorris Curia has 5 Senior and 3 junior praesidia. Works include visitation of homes, a prison, promotion of the Rosary and visitation of the elderly. Navan Comitium: A praesidium of 6 members has 74 auxiliaries. Two pairs do home visitation every week. Fatima statue visitation is carried out, including regular visits to settled travellers. They sell 24 Maria Legionis quarterly and free copies of the ALIVE newspaper are distributed. Two members organise the Children’s Adoration in St. Oliver’s Church. They recite the Rosary 3 days per week in a nursing home and also recite the Rosary on a daily basis in St. Mary’s Church. One member went on P.P.C. Extension work was done and the Legion stall manned during the Tullamore ploughing championship. A hospital and nursing homes are visited. The Annual Retreat was held on the 18th June. Public Rosaries were recited every month from May to October outside a Shopping Centre. Dolorosa Curia, Mullingar has 7 praesidia attached. The Killucan praesidium has 5 members and 14 auxiliaries. They pay regular visits to two nursing homes. One of member helps out in Regina Coeli Hostel. They also do Pilgrim statue visitation, and organised a successful “Come in, Light a Candle” ceremony at their local Church at Halloween. Their members took part in all the Legion functions last year. Members of Clara praesidium visit a hospital and a nursing home and leave small bottles of Holy Water in the Church, and this is appreciated by the parishioners. They erected a permanent Shrine in memory of Venerable Edel Quinn. Trim Curia has 6 praesidia. Ratoath praesidium has 5 active members. They do some Pilgrim statue visitation, recruiting and visit auxiliaries. Trim Curia organised a successful Congress, out of which many good ideas came for future activities. Fr. Eamonn O’Driscoll attended. Trim Curia also organised a Halloween Party for the local children. Trim Curia joined with the Navan Comitium in helping to organise the Annual Christmas Reunion. Achonry Curia: Contact is being made with the new praesidium of 4 members in Colloney which as yet has no officers appointed. Clonfert Curia: A praesidium of 9 members and 70 auxiliaries presented its 46th Annual Report. On 13th May a Rosary Rally which was led by the Legion had a good attendance. Hospital and nursing home visitation are included in their apostolate. The Fatima statue and consecration prayer are brought to homes. Killoran praesidium has 26 auxiliaries. Recruitment is on-going. Visits are made to nursing homes where Miraculous Medals and leaflets are distributed. The housebound and bereaved families are also visited. 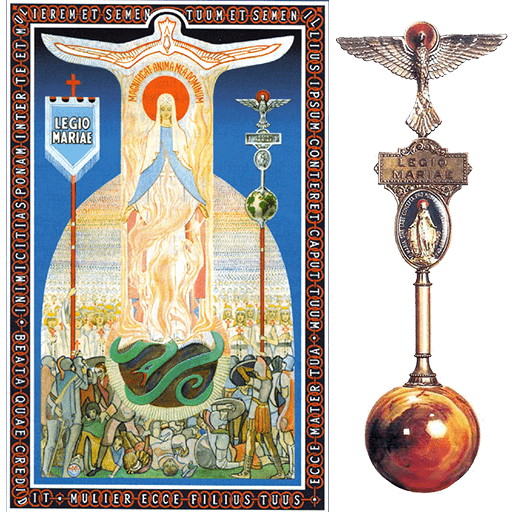 Ferns Curia: The main work of the 8 members of Ferns praesidium is home visitation, promotion of the Fatima statue and visitation of hospitals. The Curia is actively promoting the Youth Conference which is to be held in October. Galway Curia: The works of one praesidium include home, hospital and nursing home visitation. Legionaries chat with many patients who are lonely and also meet former legionaries. Many met on home visitation do not practice the faith. Another reporting praesidium does home, hospital and nursing home visitation. Legionaries took part in a project in Knocknacarra and visited 130 homes. A Mass was held on 7th May to celebrate the 85th Anniversary of the Legion in Galway with about 70 in attendance, including some former legionaries. Killala Curia: Arda praesidium does hospital and nursing home visitation and helped at the Legion Stall on Heritage Day in Ballina and at the Legion office in Knock. A praesidium of 7 members and 50 auxiliaries with a junior praesidium of 4 members attached recently celebrated their 60th Anniversary. They hosted the Acies this year and had a book of remembrance for all past legionaries. Works include visiting the sick and membership of a choir and folk group. A Eucharistic Miracle display, put together by parishioners and legionaries was on display from July 10 to 14th in the Newman Institute, Ballina. Recent Patricians on the subjects of “Fatima” and “How Deep is your Faith” both had attendances of 10. Kilkenny Curia: The June meeting with an attendance of 10 was the last meeting in the Millhill Fathers premises. As the Mill Hill Fathers are leaving Kilkenny in July the Curia officers are making alternative arrangements for future Curia meetings. Ancilla Domini Curia has 5 attached praesidia. A recruiting drive in May resulted in two new members. A recruiting drive in another parish yielded 4 new auxiliaries. During the inner city project 1,243 homes were visited, 8 auxiliaries recruited and one potential active member. Four Catholics and one non-Catholic attended the Pauline Circle. 2 Patrician meetings each had an attendance of 8. Benedicta Curia has 6 praesidia. Each praesidium has been asked to give one week per month to recruiting new members. As a result of this effort two new members were gained and a visitor attended a meeting. Former members were contacted and encouraged to return to the Legion. Benedicta junior Curia with 2 attached praesidia had an attendance of 8 at their meeting. They are very active in recruiting and encourage First Friday and First Saturday Devotions. Gloriosa Curia has10 praesidia. A praesidium boasting 94 auxiliary members visited 623 homes during the year with support from another praesidium. They organised the 33 Days Preparation for the True Devotion to Mary at which 35 parishioners participated, and also a talk on Fr. Toher by Bro. Enda Dunleavy which 30 attended. Immaculata Curia has 9 praesidia. Nine schools were visited and religious packs with Miraculous Medals, Rosaries and prayer leaflets distributed. Two new schools were added this year. A praesidium in the Curia relocated to another area and they are actively recruiting members. A praesidium of 8 members working in one parish organise a Faith is Fun event every two weeks for children ranging in age from 6 to 13 and on a few occasions 20 children attended. The praesidium also does home visitation and organises public Rosaries during May and October. Mary Spouse of the Holy Spirit Curia has 5 attached praesidia. 14 attended an Edel Quinn prayer meeting. Six attended a Frank Duff prayer meeting. A praesidium does home visitation and also promotes the Pilgrim statue. Annunciata Curia has 7 praesidia. A praesidium of 7 members with 22 auxiliary members has as its main work an apostolate to the Muslim community. This work is mainly done through street contact. Some home visitation is done. A praesidium in another parish also reported home visitation. A Parish Retreat was organised. 32 Patricians and 16 legionaries attended 5 Patrician meetings. Book barrow apostolate is carried out once a month. Mater Ecclesia Curia with 7 attached praesidia held a Retreat for people with mobility disabilities with an attendance of 90. In two parish Churches legionaries organise a weekly Holy Hour where the prayer to Frank Duff is recited. A monthly Holy Hour for the Cause of Frank Duff is also organised in another parish. 30 legionaries participated in an outreach project. 23 attended a Patrician meeting. Assumpta Curia with 7 attached praesidia carried out a recruiting drive in one parish, resulting in 4 attending an information meeting. Among the contacts of a praesidium working in another parish is a young man who is trying to overcome long-term addiction to drugs and alcohol. Our Lady of Fatima Curia has 8 attached praesidia. A Frank Duff and an Edel Quinn Prayer Group meeting are held monthly. Schools are visited and a special pack with Miraculous Medal, Rosary and prayer leaflets are given to the children, especially the First Holy Communion and Confirmation classes. At the Sunday Masses near to the Feast of the Holy Rosary and also on the Feast of the Miraculous Medal, Rosary beads, Miraculous Medals and leaflets are offered to parishioners. Senatus of Kenya: His Eminence Cardinal John Njue was chief celebrant at the Annual Mass in May at Venerable Edel Quinn’s grave. Edel’s nephew Tom McCormick and his wife were among the 5,000 present at the open-air Mass. The first praesidium set up by Venerable Edel on 8th December 1936 reported having 18 active members, 2 probationers and 138 auxiliary members. Among their works are home and hospital visitation, contact work in parks where people of different faiths and none are met. They also have a junior praesidium. Extension continues and plans are underway for setting up a second Regia in Western Kenya. Blantyre Senatus: The Senatus organised a Mass at Michiru Shrine to commemorate Venerable Edel’s Anniversary and there was a large attendance of legionaries. A praesidium of 14 do hospital visitation and clean around the grotto. Quarterly reports are presented from attached councils. In many cases a Retreat precedes the Acies. Regular visitation of attached councils is undertaken by Senatus. Maula Senatus: A praesidium of 12 members does home and hospital visitation and encourages absent members to attend regularly. The Senatus has a dedicated team of correspondents who keep in regular touch with their councils. A praesidium visited a family whose son died. The mother was so impressed with the visit that she requested information on the Legion and intends joining. Lusaka Regia: The council has printed 1,700 copies of the English Handbook and is arranging for the translation into various languages spoken in Zambia. Works include home and hospital visitation and people are encouraged to undertake instruction in the faith. Many couples are helped to prepare for the Sacrament of Matrimony. Prisoners are visited regularly in their cells and the Gospel is shared with them. Uganda Senatus: A week’s extension visit to South Sudan, on behalf of Concilium was undertaken by two members of the Senatus. During their trip they had meetings with the Vicar General, legionaries, and the Chaplain in Juba Prison where they set up two praesidia and left some literature and Legion equipment. A Conference for Spiritual Directors in Northern Uganda is planned and it was reported that the first minutes of Edel’s first Praesidium in Uganda have been obtained and are being sent to Senatus. Sadly the oldest legionary, Sr. Nambi Francesca, who attended praesidia meetings with Edel, died in February. May she rest in peace. Dar-Es-Salaam Regia: The annual promotion of the Legion by seminarian legionaries resulted in many new members and existing legionaries were encouraged to make every effort to welcome and retain them. Training Seminars were held in all councils. The Edel Quinn Anniversary Mass in Nairobi was held in May. They plan an evangelising mission in Morogoro Diocese. The imprimatur has been received for the new Kiswahili Handbook and quotations for printing will be available soon. There is a great need for this Handbook in a number of countries. Rombo Comitium: Reports include home and hospital visitation and visitation of schools trying to establish praesidia in them. Hai Moshi Comitium: Works include home and hospital visitation, contact with drug and alcohol addicts, encouraging couples to marry in Church and preparing adults and children for the Sacraments. Mtwara Comitium: The council gave consent to St. Raphael being included in the Legion prayers. Kahama Comitium: Correspondence gave the sad news of a priest, teacher and 5 students killed in a car crash coming from a Retreat RIP. The Acies was preceded by a day Retreat and the Legionaries got great encouragement from the priests present. Some misconceptions legionaries had regarding the Acies and the Promise have been dispelled. Elections were held. Some Tanzanian councils are not corresponding although good efforts are being made by the correspondents to rectify this. Occasionally a report instead of Minutes is sent mainly by one council, and the Correspondent has clearly explained the importance of sending Minutes. Abuja Senatus: A plot of land is being considered for purchase to build a Legion House. A Comitium with 9 new praesidia reported 43 returns to the faith, 23 marriages rectified and 14 conversions. Ibadan Senatus: About 3 years ago a new Regia was formed in the area A Comitium reported 12 Patrician meetings. Lagos Regia: Some councils have printed copies of the Draft Statues. One Comitium organised novenas to commemorate Frank Duff’s birth and death and tridiums for Venerable Edel and Alfie Lambe. Enugu Senatus: Aba Regia is composed of 5 Comitia, 20 senior Curiae and 17 senior praesidia with a senior membership of over 8,002. In addition to this there are almost 3,391 juniors in 4 junior Curiae. 38 praesidia and 4 Curiae were established. Onitsha Regia: A junior Curia with 20 praesidia assisted 28 young people to be baptised and recruited to the Legion. 19 were prepared for Confirmation. Jos Regia: A Comitium with over 400 members, 140 of whom are probationers, prepared 108 for Baptism and 141 for Confirmation. Two praesidia were established. They still face the great challenge of A Comitium with 868 members reported many prepared for the Sacraments, 55 couples helped to have the Sacrament of Marriage and 24 lapsed returned to the Church. Freetown Curia: An e-mail from the Spiritual Director Fr. Carew gave news of the June and July Curiae meetings. There were 10 present and 3 excused in June while there were 14 present in July. They discussed attendance at Curia and hope to visit praesidia. They were very involved with celebrating the Fatima Centenary. Please pray for all those who died, were bereaved and displaced as a result of the flooding and landslides in Sierra Leone.